R – Responsible – Individual(s) responsible for a task, project or initiative. A – Accountable – Individual(s) to whom R is accountable to for the completion of the task, project or initiative. This individual(s) will need to approve the task, project or initiative before it gets underway. S – Supportive – Individual(s) that will need to support the task by providing resources towards completion of the task, project or initiative. C – Consulted – Individual(s) that may need to be consulted because they may have data or information that will be useful to complete the task, project or initiative. I – Informed – Individual(s) that need to be notified or kept informed of the progress of the task. They do not need to be consulted or asked to provide input to the task, project or initiative. I believe that communications is a root cause for many of the organizational problems. For whatever reason, there is a tipping point in an organization’s growth where communications is ignored because it is taken for granted – “of course everyone knows” is a bad assumption that often gets made – and the net result ends up to be big surprises, annoyances, discontent and frustration. Given that we as software product managers have to communicate with most of the other departments in the company, I thought the RASCI approach would come in very handy. I have previously written a post where I believe that if there is no head or a date associated with any task, it is not getting done. Full disclosure – I was send a free copy by Michael Fisher so that I can read it and write a review here. While I am still reading it, I like the novel approach they are recommending for creating a scalable company. 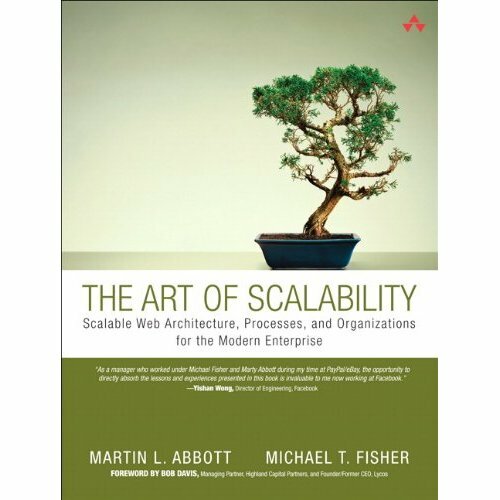 Given that both of the authors are highly technical, I expected the book to be about how to architect your software such that it can scale and not have any performance degradation as the number of users grow. Instead, the book is more about how to create an organization that will scale when business grows. Based on what I have read so far, I do recommend that you check this book out. Have any of you read the book? If yes, what are your thoughts and comments? As product managers, our work lives revolve around working with cross functional groups. Leading by influence and not much authority, our jobs are to motivate people to get things done for the benefit of the paying customer. Sounds easy right? But when different groups have their own goals and priorities, a product manager’s job often feels like herding cats. Even after 13+ years of doing product management in multiple companies, I am in no way close to mastering this. It is easy to unknowingly step on some one else’s shoes. It is easy to get emotionally attached to problems and solutions. Last week when I was reflecting on my years of experience and the instances where leading a cross functional team had been challenging, something very simple occurred to me. What if we product managers always use the following as a guiding principle – Ask yourself “What? When?How? Who? and in that order”. What is the problem to be solved? – Do we agree? When do we need to solve it by? – Determine the priority – is it something important to solve, is it worth the time and effort? How do we best solve the problem? – What is the best possible solution? Who is the expert(s) in the team that is best equipped to solve the problem? If we approach any problem in the following sequence, I think things will fall into place. The biggest challenge usually is getting everyone aligned first on the problem to be solved, then the timeline and then how best to solve it. Once the consensus sets in and team feels invested in solving the problem, who needs to do the work to solve the problem becomes the easy task. I am not trying to discount in any way that it then becomes a cakewalk, but such a structure I believe will allow all involved to step away from their emotional engagement with a problem and look at it in a very objective manner. This means, whenever you send an email, you have just thrown out 93% of your communication power. If you pick up the phone instead, you get 45% of it back. And what are we so used to doing these days – sending emails. Is the world now full of lousy communicators? BTW, I learnt a lot in the above seminar and would highly recommend it and I have no vested interests in making this recommendation. What can we learn from the New England Patriots? Over the last week, I cannot tell you how embarassed I have been to say that I am a New England Patriots fan? I have loved the Patriots since I moved to Boston in 1996. Them going to the Super Bowl my very first year here in Boston helped of course (though they did not win it all that year). Then came the 2001, 2003 and 2005 seasons where they won it all. The last couple of years were heart breaking, but there was something about this team that made it everyone’s envy. The attention to every detail, the team camaraderie and the strong work ethic of coach Bill Belichick who was called a genius by everyone. Then all of this fell right apart this last week with what has now become famous “videogate”, “spygate”, “cameragate” …. All the respect I had for coach Belichick went right out of the window when I first heard about the spying episode. I was mad not just because he cheated but because I never understood why he had to do it. Here was a team that was retooled with some of the best offensive weapons and favored heavily to win it all again this year. Why would the so called genius, such a great leader who could bring out the best out of his players, falter by making such a stupid decision to stoop so low. I even thought of not watching last night’s game against the Chargers, but then it is difficult to keep me away from a football game. What transpired last night completely surprised me . The team rallied around their coach in what I consider to be one of the best Patriots game I have watched in the last 11 years. Both the offense and defense had an air around them that they had something to prove. They brought their best game all for their wounded coach and leader. The San Diego Chargers unfortunately did not stand a chance right from the word go. At the end of the game, they even gave Belichick the game ball to express their support. This is to me is what great teams are made of. I still do not approve of Belichick’s unethical ways and I don’t think I ever will. But as a product manager, I am very impressed how the team rallied around their wounded leader to pick him up when he was down. Maybe that is what true teams are made of. It would have been very easy for the team to throw stones at their own glasshouse, but no – what they did last night is probably what sets the Patriots apart from the rest of the league. After all, it is what it is. They moved on and continued doing what they do best – winning football games. I am sure everyone is inundated with emails these days. We also have become notorious in generating a lot of these emails at work. As product managers, we are constantly required to stay in constant touch with our team members in development, quality assurance, sales, documentation, product marketing, press, PR, customers, partners and you name it. But is there a way to tame this email monster such that it does not become a productivity killer for us and for others. I remembered a good set of tips that one of my colleagues Graham Rae, VP R&D Operations at SolidWorks (my current employer) had send us way back in 2003. I dug this up and even to this day, these are great tips to reduce the email volume. I still use them and they help a lot. Enjoy and hopefully you can find them useful. Thanks to Graham for these valuable tips. o Right mouse button over your name and select Properties. Select the “Member Of” tab. If you want to be removed form a list, select the list to find out who owns it and request they remove you. Get your point across succinctly, politely and quickly. Long emails sometimes get pushed off to be read later and may not get read to their end! – a problem if you’ve made your main point in the final few sentences. Many people have their Cc’d email go to a different Inbox folder or use a different color to identify they are Cc’d only. When you send an email or reply to an email, consider moving recipients from To list to the Cc list to help them prioritize their email. You can select and drag names between To and Cc fields. Most people work better as a team when they get to know each other. Email alone doesn’t create close working relationships. Substituting email by phone calls/face-to-face discussions/meetings or webEx will over time improve overall communication and potentially reduce email. This is especially true if the person is within a few offices of your own. If an issue is diverging, taking too long to close or the ball has been dropped then a meeting may be the way to go. Short focused meetings may be far more effective at getting agreement and decisions quickly – many times email simply can’t compete with a meeting.